CAN YOU SPOT THE LIAR? 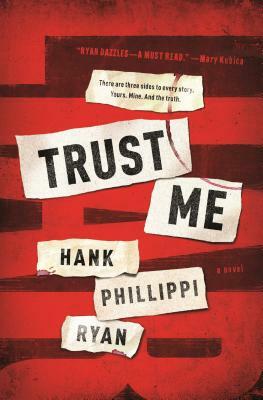 HANK PHILLIPPI RYAN has won five Agatha Awards, in addition to the Anthony, Macavity, Daphne du Maurier, and Mary Higgins Clark Award for her bestselling mystery novels. As an investigative reporter, her work has resulted in new laws, criminals sent to prison, homes saved from foreclosure, and millions of dollars in restitution for victims and consumers. Along with her 34 Emmys and14 Edward R. Murrow awards, Hank has received dozens of other honors for her ground-breaking journalism. A former president of Sisters in Crime and founder of MWA University, she lives in Boston with her husband, a nationally renowned civil rights and criminal defense attorney. She is the author of Trust Me, and the Jane Ryland series (The Other Woman, The Wrong Girl, Truth be Told, Say No More and What You See).